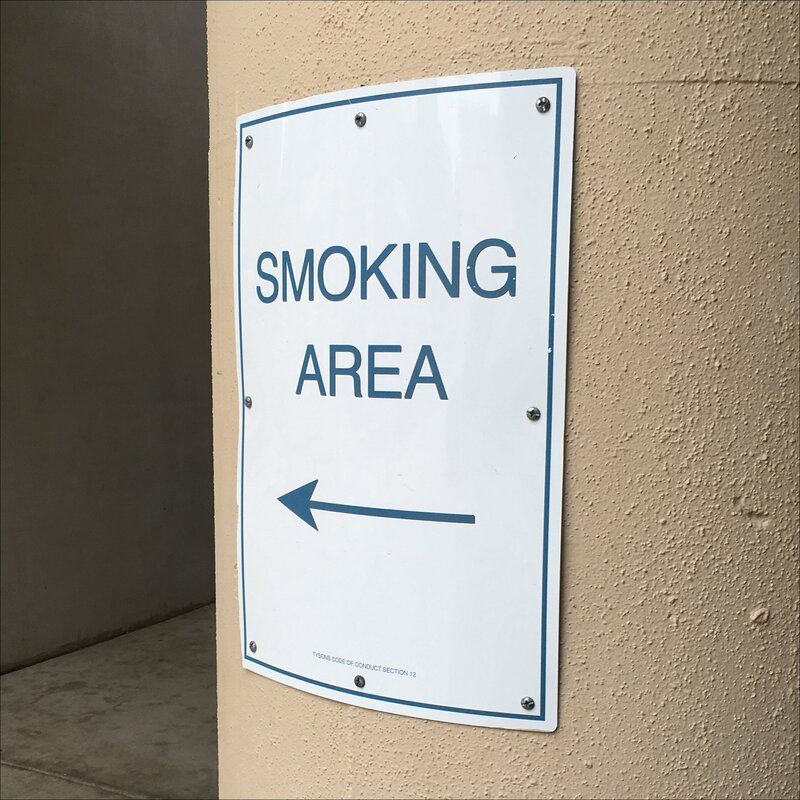 If you are going to ban smoking, it is a true courtesy if you provide an area where smoking is actually permitted. This area designated under authority of the Tysons Code of Conduct, and seen at Tysons Galleria Mall, in Tysons Corner, Virginia. I assume the Code of Conduct is that of the Mall, not the Municipality.